very pleased, appointment was on time and the tech Rick B was very professional. I chose Precision Door due to the positive comments on your website and your A+ rating from the BBB. I was in need of a garage door repair. You were prompt and able to visit my property the same day. I found the serviceman, Alex, to be knowledgeable and honest. He ended up replacing my opener and the seeing eyes. He explained things and talked about what I might expect in the future due to the age of the door and other components. The only negative comment would be regarding my initial call to request an appointment. During the conversation, I asked what the trip charge was and it was stated that it's $69.95. There was no mention at that time of the $15 fuel/environment charge. This should be made clear up front by the person answering the phone. OR just change your trip charge! I will likely use you again because Alex was great! Precision Door did a great job fixing my garage door. They had everything they needed right on the truck so I didn't have to have them return to fix the problem. The serviceman was knowledgeable and courteous. He was early for our appointment which was on a weekend. I appreciate their professionalism and promptness. Professional, courteous and on time. Have used Precision for past 15 years and would highly recommend. Very impressed with this operation. Discovered the garage issue around 7:00 a.m. Called Precision at 7:30 a.m. and they scheduled a service call at 10:00 a.m. Service Tech (Matt) arrived at 9:00 a.m. and had the issue resolved by 9:45 a.m. OUTSTANDING! Matt was very friendly and profession. He was very knowledgeable of their product(s) and explained everything very thoroughly to me. I would recommend this business for any garage door issues. very satisfied with work preformed, prompt service. would recommend to a friend. Very prompt, efficient and friendly service. From setting up the appointment with Ashley S. to Rick Bourget doing the actual service repair everything was done professional and smooth. Both Ashley and Rick were great to work with and they both knew their profession. Definitely a five star rating and would recommend to anyone. Thank you! My technician, Steven Gatson, was the best. He was professional and very knowledgeable. He figured out the problem quickly. He explained everything thoroughly and educated me on what to do when and if this would happen to the door again. Steven was very helpful with the selection of a new garage door. I enjoyed working with him. He is very deserving of a 5 star rating! Hi Arnold, I'm sorry that the pricing of doors has sky rocketed since the last time you purchased a door in 2004. I'm glad that we came to a mutual agreement on a price for your new door today! I know you will see that the quality of our doors far exceed that of doors made in the past. Technicians were great! They knew exactly what my problem was and discussed it with me in terms I could understand. My worries went away. I’m about to receive a new garage door estimate that I will probably follow thru on. This is the garage door business to call! Service was great. Not happy with charges that were never mentioned Environmental impact fee ?????? Received very prompt and professional service. The installer Benjamin Reichelt did a great job and had everything he needed with him. Very satisfied. The technician, Steve, was great! He didn't try to sell me anything that I didn't need, and was very knowledgeable about the products. He did the job quickly, and explained everything very well when he went through with me what he had done. 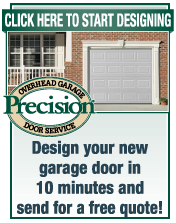 I would highly recommend Steve, and Precision Door Co.
Service team arrived ~90 minutes from initial call to company. After assessment was completed, options were explained. Service was performed in about an hour. Service team was pleasant during this time and I would recommend Steve and Matt in the future. Great service. Matt was very professional and did a great job. Called at end of day and they came and were able to fix my garage opener. Alex did a great job in a timely manner...I was very happy with the spring replacement:-) I would give your company a 5 star rating! Wonderful experience all around! I am so pleased! Ben was great, took his time explaining everything to me. This garage door opener is so quiet! THANK YOU!! 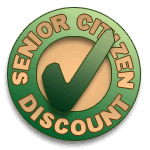 I was pleased with the service and the promptness. However, the follow up has downright been awful. The installer said he would email me a receipt. I verified my email address. The repair was done a week ago. I got an email from Brian, the owner, the next day, asking how things went, and asking me to write a good review. After attempting to email him, based on the email address his email came from, and getting a delivery failure, I called. I was told I couldn't have his email address, but "Andrew" would have the billing department send me the receipt. I still do not have a receipt for the repair done on 3/5 and it is 3/12. Hi Susan, We apologize for you not receiving your receipt immediately. Our system sends out our invoices as an attachment in which some emails do not accept them from a website they are not familiar with. I was happy that we were able to use one of your alternative emails that accepted our attachment. We thank you for your patience and hope that you will reconsider your 3 star rating, since it was an issue with an email address and not the services that we provided you.